George. Date of Birth: March 10, 2014 I lived my first four months outside. When I came inside I was a little fearful, but overcame that and now I really love the indoor life. My favorite things are kitty toys, my bed, and wrestling with my cat buddy Ted. 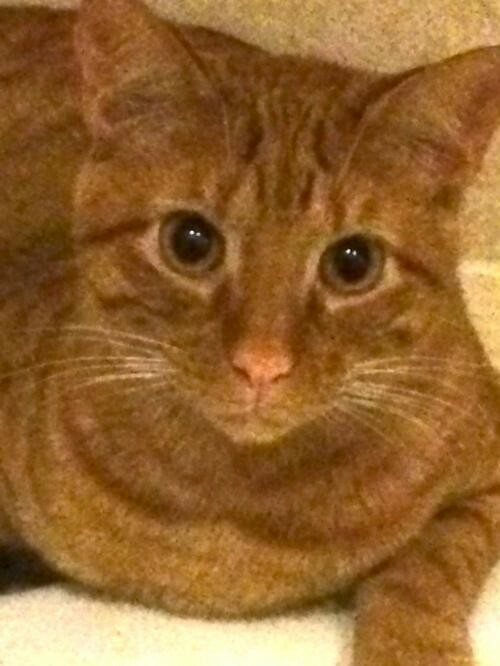 (He's also on this site; he's an Orange Tabby like me.) I'm looking for a family who will love me with all my eccentricities. Kisses and purrs, George.